The maintenance division you work for got less money for the equipment that needed, so a careful decision on how to spend it is necessary. Give a briefing on two posssible ways of spending money describing their advantages and disadvantages. Recommend one and justify your choice. The medical station in your unit is located in an old building which is too small and in poor condition. It has to be moved to another place. Give a briefing on two possible solutions describing their advantages and disadvantages. Recommend one and explain why. There will be a multinational exercise held in the UK soon. Its aim is to put emergency procedures for a terrorist attack into practice. 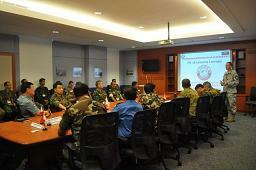 Give a briefing on two candidate platoons describing their strong and weak points. Think of skills, experience, language proficiency. Recommend one platoon and justify your choice. The command of your unit have been asked by the local authorities for their opinion about selling land next to your unit grounds. There are two companies offering different investments. Give a briefing to assess the influence of the potential investments on the unit describing their pros and cons. Recommend the more acceptable one and justify your choice. You work in a military base abroad. A plan to close a primary school on the base and send children to a big school in town raised the parents’ concern. 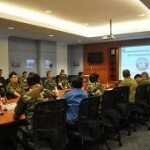 As a PR officer, you are to present the problem to the military authorities and suggest solutions. Give a briefing describing advantages of each option you are presenting. Recommend one solution and justify your choice. On a UN mission you were tasked with preparing a plan for the delivery of new equipment. It has to be transported to the camp 250 miles away. Give a briefing on two possible ways of supplying the equipment describing their advantages and disadvantages. Recommend one and justify your choice.